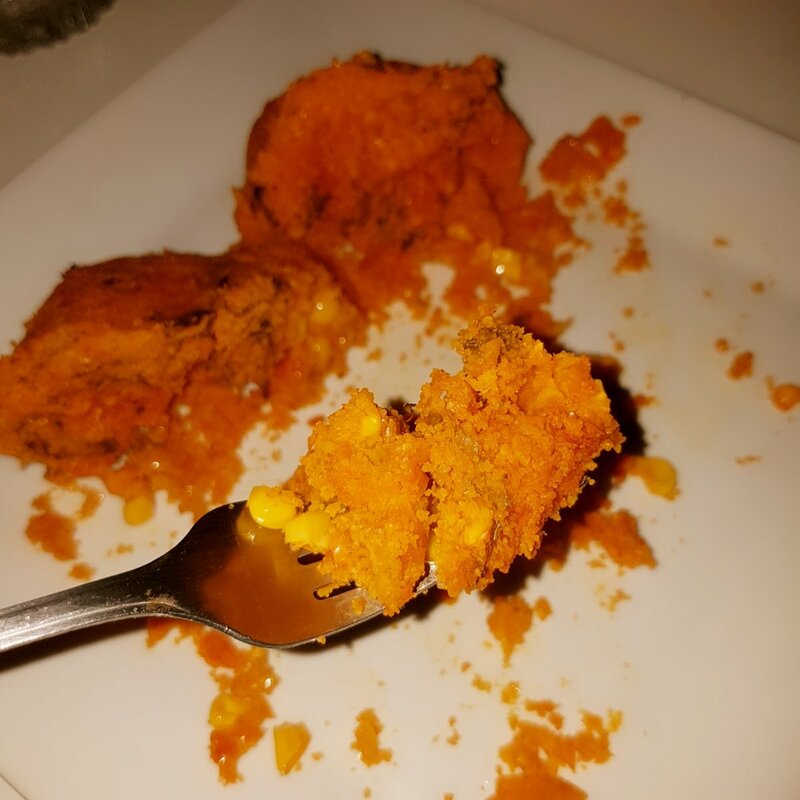 One of Cameroonian best vegetarian meal is the Cameroonian koki Corn . It is one of pure vegetarian meal that many pure vegetarians and non vegetarians will truly savour. I can’t deny i am a big fan of corn. 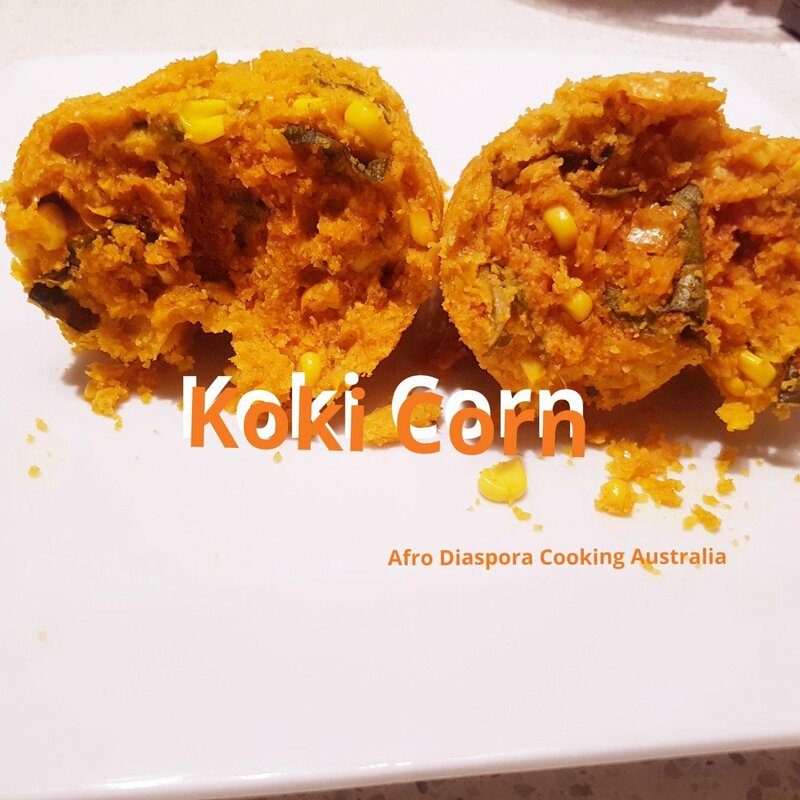 Growing up in Africa , i ate enough roasted corn from our local stone fireside kitchens where sweet stories are been told while corn and plums are roasting in our …traditional kitchens, Another version of this koki corn is called baked corn or koki corn pudding baked or corn cake. 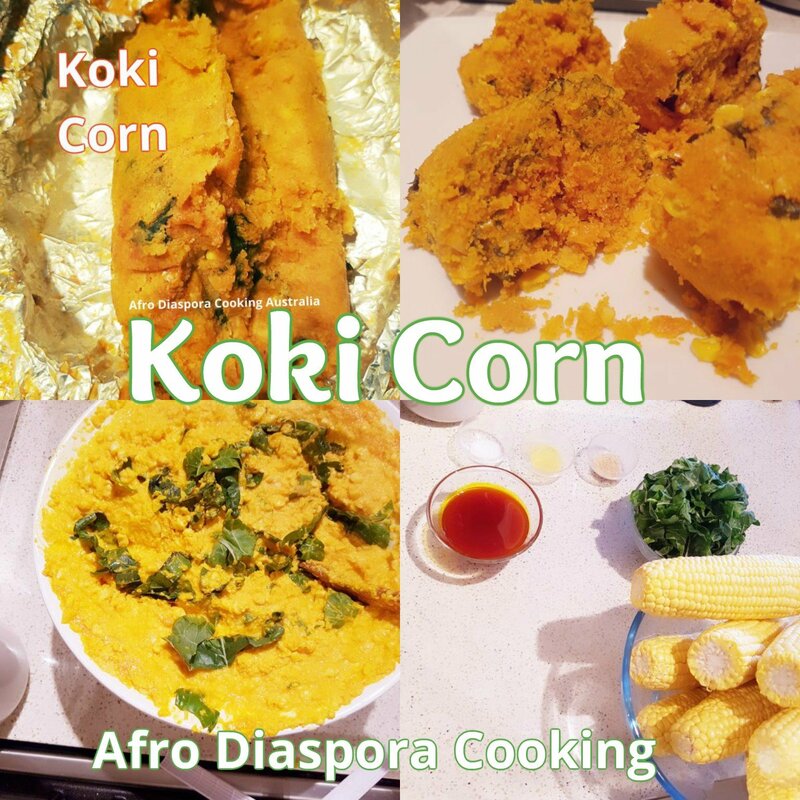 In the different regions of Cameroon, we cook koki corn in different ways. 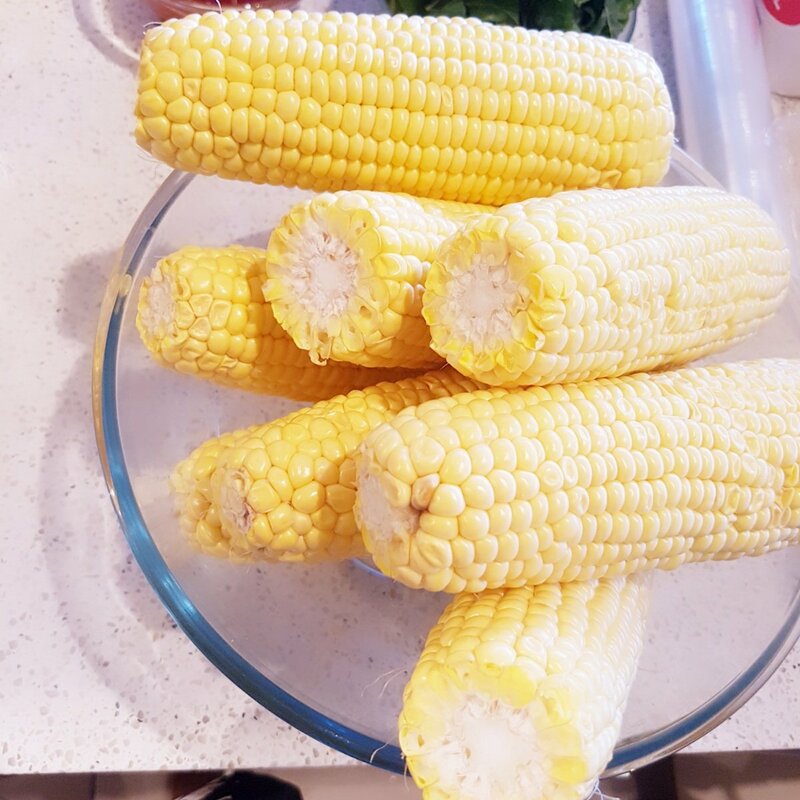 There are so many ways to make koki corn, but I prefer to make mine as simple and sweet as i watched my granny doing it at a very tender age. fresh corn, palm oil , salt , fresh vegetable and maggi cube . Today i see some few people addibg onions in their mixtures . 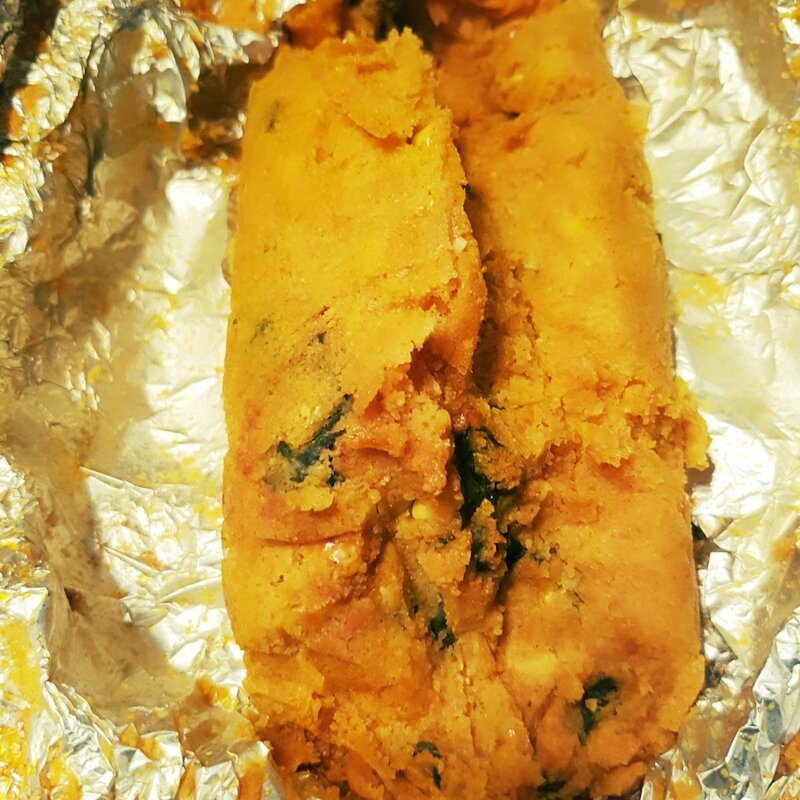 I blend my fresh corn , season it and add veges then tie in foil paper which is a substitude for plantain or banana green leaves and steamed it . In Africa babana leaves has a special aroma and flavour. So wrapping it up with leaves gives it an excellent aroma and taste. Adding chilli is an option to make it taste hot . With seven corns, you can entertain 8 guest ir feed 8 people. And you will have 8 bundles of koki corn . Enjoy and please subscribe to my youtube channel and make sure you watch the cooking process from start to finish. Banana leaves / alluminium foil paper. 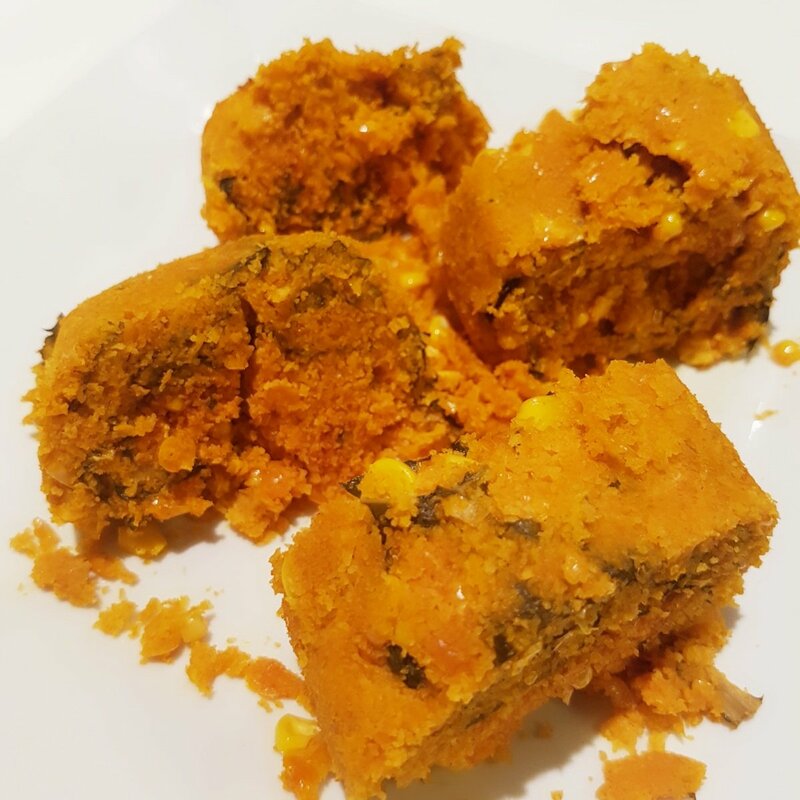 1 cup of yellow maize flour (fufu)Pls click here to watch video recipe Subscribe and share. Remove corn from corn raw . You can easily do that by slicing with a sharp knive. Blend properly some people love it semi blend. It’s your choice . Pure in a bowl and add some yellow maize flour, salt, stock cube and white pepper. And stir propely . Add half cup of water. Add palm oil and stir properly. Prepare your banana/ plantain leave leaves to wrap up your corn pudding . If you are using leaves , clean them up properly and cut them into rectangular form . You can wrap either in bundles or in a rectangular form or round shape. Sream for 35 mins. Give it a cold down for 15 mins and then serve . 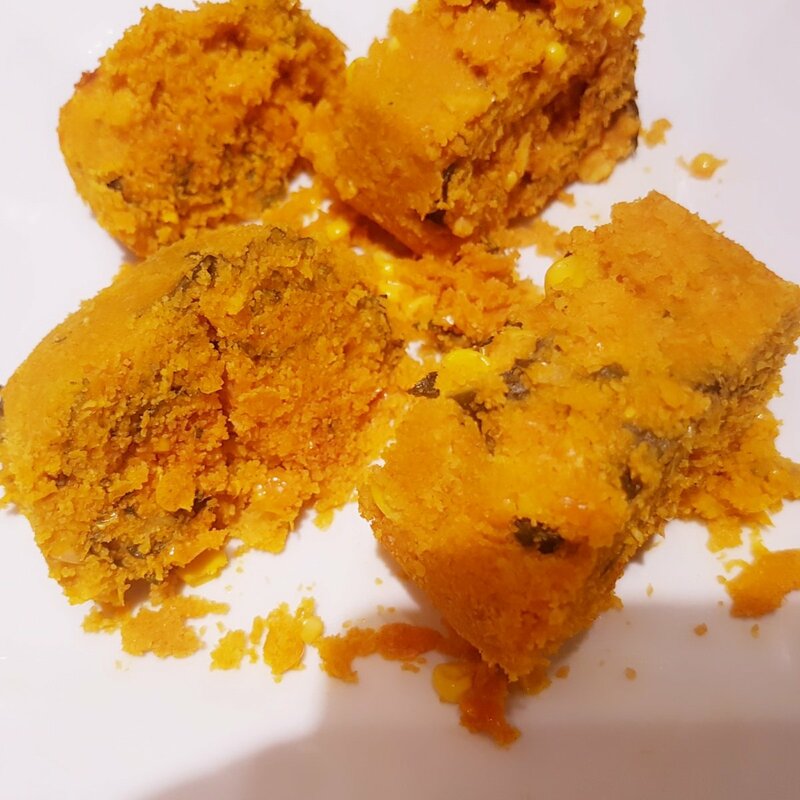 Next Post EGUSI PUDDING/ MELON SEEDS PUDDING.